There are a LOT of skin care products on the market, each with different elements designed to treat or improve your skin. To fully understand today’s skin care products, you must learn what the main ingredients are and how they improve the skin. But how do you know which ingredients to look for, and which to avoid? The list below will explain the function of many common ingredients in skin care products today to help you be an informed consumer. NOTE: If you are unsure which skin care products are right for your child, ask your pediatrician or dermatologist for recommendations. Ingredient sources cited below. ALCOHOL (SD ALCOHOL): Undrinkable ethyl alcohol has many uses in skin care. It delivers other ingredients into the skin and drives them deeper down. In toners and acne products, it can help dissolve oil and temporarily tighten pores. When added to certain moisturizers, like gel-based lotions, it makes them less tacky and helps them dry faster on the face. 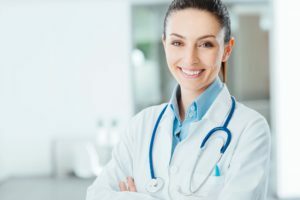 ALPHA-HYDROXY ACID (AHA): Over-the-counter skin care products containing alpha-hydroxy acids (glycolic, lactic, tartaric, and citric acids) have become increasingly popular in recent years. These chemicals loosen the fluid that binds surface skin cells together, allowing dead ones to be whisked away. To allow your skin to get used to powerful alpha-hydroxy acids, you should only initially apply the skin care product every other day, gradually working up to daily application. ASCORBIC ACID: This topical form of antioxidant vitamin C brightens the skin, increases collagen production, and stems free-radical damage, making it a popular anti-aging ingredient. AVOBENZONE: A common chemical found in sunscreens, it absorbs UVA rays to reduce their penetration into the skin, but does not protect against UVB rays. BENZOYL PEROXIDE: An acne medicine that kills pimple-causing bacteria and exfoliates pores. It can be found in concentrations up to 10 percent in over-the-counter products, like Oxy and Clean & Clear. BETA HYDROXY ACID (BHA): These chemical exfoliants can smooth fine lines, even pigmentation, and penetrate deeply into pores, dissolving sticky plugs of sebum and dead skin. One of the most common BHAs, salicylic acid, is found in many acne washes, creams, and peels. 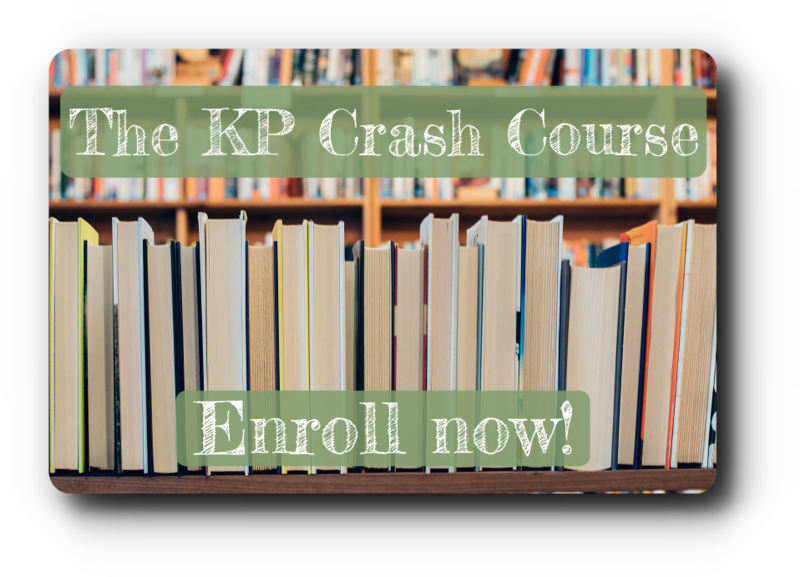 Click to sign up for the FREE KP Crash Course! CITRIC ACID: Found in many fruits, citric acid is an antioxidant alpha hydroxy acid that acts as a natural preservative. When used in peels, masks, and washes, it brightens and exfoliates the upper layers of the skin, encouraging new collagen formation. DIMETHICONE: A slippery form of silicone that hydrates and protects the skin; often found in oil-free moisturizers. EMOLLIENT: Any moisturizing ingredient that increases water levels in the epidermis, another word for moisturizer. Used to correct dryness and scaling of the skin by increasing hydration, preventing moisture loss, or both. The effects of moisturizers are temporary, but over time and used consistently, they make a significant difference in the appearance of skin. GLYCERIN: Glycerin is a humectant, meaning it pulls moisture from the atmosphere to hydrate skin. Commonly used in moisturizers and hydrating cleansers, glycerin is a humectant naturally found in skin that helps it maintain a soft, moisturized, healthy look. Used topically in combination with other emollients and antioxidants, it has been shown to be very effective at restoring the skin. GLYCOLIC ACID: An alpha hydroxy acid derived from sugarcane, it dissolves the gluelike substance between skin cells, aiding in exfoliation and improving skin texture. It’s commonly used in high-end anti-aging products, such as cleansers, creams, and peels. 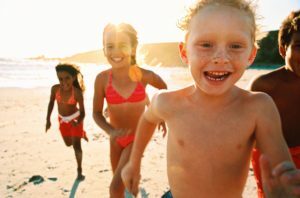 HELIOPLEX: Helioplex is the trademarked name of a sunscreen technology that combines avobenzone with a stabilizing ingredient called oxybenzone to offer protection from both UVA and UVB sunlight. HUMECTANT: This class of moisturizing ingredients pulls water from the atmosphere into the top layer of the skin. HYALURONIC ACID (HA): Hyaluronic acid is a common ingredient in skin care products. Hyaluronic acid plays a critical role in skin health with its unique ability to hold in moisture (1000 ml of water per gram of hyaluronic acid). Naturally found in the body, hyaluronic acid secures skin moisture, creating a youthful fullness to the skin. In skin care products, you can find hyaluronic acid creams, serums, injectables (aka: Restylane), and hyaluronic acid supplements. JOJOBA OIL: Similar in structure to skin’s natural oil, jojoba oil penetrates the skin to hydrate without clogging pores. Jojoba oil has become a popular product among KP parents in 2017. LACTIC ACID: Derived from fermented milk, this alpha hydroxy acid exfoliates dead skin cells and is gentle enough for people with sensitive skin or rosacea. Since it’s part of our body’s natural moisturizing factor, it’s especially compatible with human skin. MICRODERMABRASION: Performed by dermatologists and facialists, this treatment exfoliates the top layer of dead skin cells with a wand that sprays on and then vacuums off extremely fine aluminum-oxide crystals. A newer form of the technology uses a vibrating diamond tip in place of the crystals. MINERAL OIL: A colorless, odorless distillation byproduct of petroleum often found in moisturizer for its ability to soothe skin and help it hang onto moisture. Mineral oil can be pore-clogging for some, but it isn’t shown to be as harmful as some believe. OMEGA-3 FATTY ACIDS: Abundant in herring, mackerel, wild salmon, walnuts, flaxseed, and olive oil, these essential omega-3 fatty acids maintain the function of cell membranes throughout the body, preserving cells’ ability to take in nutrients, dispose of waste, and hold onto water. In the epidermis, this can translate to smoother, more supple, hydrated skin. OXYBENZONE: Also known as benzophenone-3, this chemical sunscreen absorbs mainly UVB rays, which is why it is typically combined with UVA-absorbing filters (like avobenzone) to create broad-spectrum sunscreens. PARABENS: A class of preservatives used to protect cosmetics against the growth of bacteria and fungi. These controversial ingredients—including methylparaben, propylparaben, and butylparaben—have been shown to possess mild estrogen-like properties, but the FDA deems them safe when used at very low levels (.01 to .3 percent) in cosmetics. SALICYLIC ACID (SA): Salicylic acid is a powerful beta-hydroxy acid that removes excess oil and dead cells from the skin’s surface. It’s used in nonprescription cleansers, moisturizers, and treatments as an exfoliator when treating skin conditions such as acne, keratosis pilaris, psoriasis and seborrheic dermatitis. Salicylic acid acts as a keratolytic, which loosens keratin (a protein that forms the structure of skin), therefore allowing thickened, scaly plaques of skin to shed more easily. Using an exfoliator that contains salicylic acid not only sloughs off dead skin like a traditional face scrub, but it also contains mild acids that will decrease inflammation and prevent further breakouts. People with oily and acne-prone skin benefit from salicylic acid peels because they loosen blackheads, reduce oil and even discoloration from old breakouts. Salicylic acid should also not be used in children younger than age two, as the absorption rate through skin is greater. PETROLATUM: A purified by-product of petroleum, this thick, odorless, and colorless substance coats the skin to hydrate and prevent water loss. Petrolatum is used in standard (i.e., not oil-free) moisturizers. It can potentially clog pores and cause acne in those who are prone. RETIN-A: The brand name for the prescription vitamin A derivative, tretinoin (a stronger version of retinol). 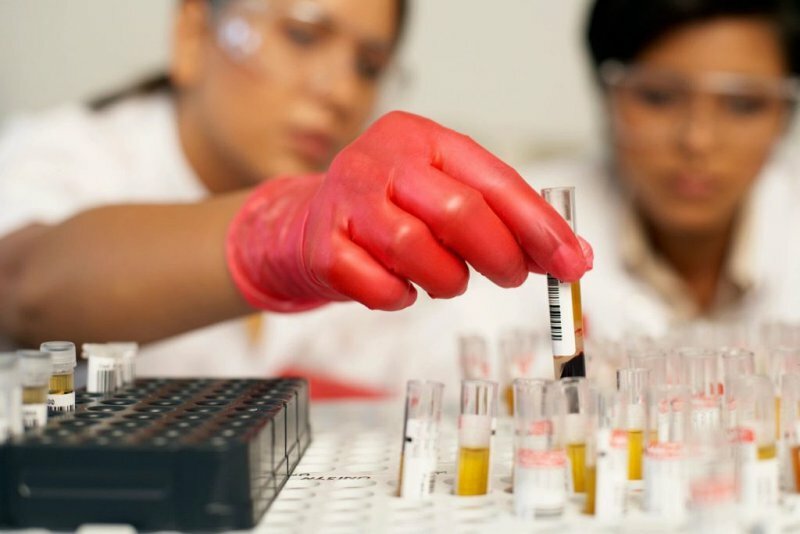 First approved by the FDA for the treatment of acne, Retin-A was eventually found to fight signs of aging by speeding up exfoliation, repairing skin on a molecular level, and boosting new collagen production. Retin-A users are encouraged to use extra sunscreen and avoid full sun exposure. RETINOIDS: This is the catchall phrase used to describe all vitamin A derivatives used in skin care. RETINOL: A derivative of vitamin A used in anti-aging products to stimulate the turnover of skin cells and increase collagen production. The maximum amount allowed in over-the-counter products is 1 percent. Retinyl palmitate and retinaldehyde are weaker, less-irritating forms of retinol. Retinol is proven to improve mottled pigmentation, fine lines and wrinkles, skin texture, skin tone and color, and your skin’s hydration levels. SHEA BUTTER: Shea butter is an excellent moisturizer. However, the vitamin concentrations found in most commercial shea butter preparations are negligible. Most formulations will vary from 5% shea butter in body washes to 25% shea butter in heavy creams. VITAMIN C (L-ASCORBIC ACID): An antioxidant that boosts collagen production and inhibits pigment formation. Like many antioxidants, it’s an unstable molecule that can break down quickly when exposed to light and air. Common derivatives, like ascorbyl palmitate and tetrahexyldecyl ascorbate, tend to be more stable than pure ascorbic acid but slower acting. This is the only form of vitamin C that you should look for in your skin care products. There are many skin care products on the market today that boast vitamin C derivatives as an ingredient (magnesium ascorbyl phosphate or ascorbyl palmitate, for example), but L-ascorbic acid is the only useful form of vitamin C in skin care products. With age and sun exposure, collagen synthesis in the skin decreases, leading to wrinkles. Vitamin C is the only antioxidant proven to stimulate the synthesis of collagen, minimizing fine lines, scars, and wrinkles. VITAMIN E: An antioxidant used to prevent free radical damage which protects the skin from the sun damage. Its main effect in serums/creams is to stabilize and augment the antioxidant activity of Vitamin C.
ZINC OXIDE: A mineral in sunscreen that prevents UVA and UVB light from entering skin and doing damage. 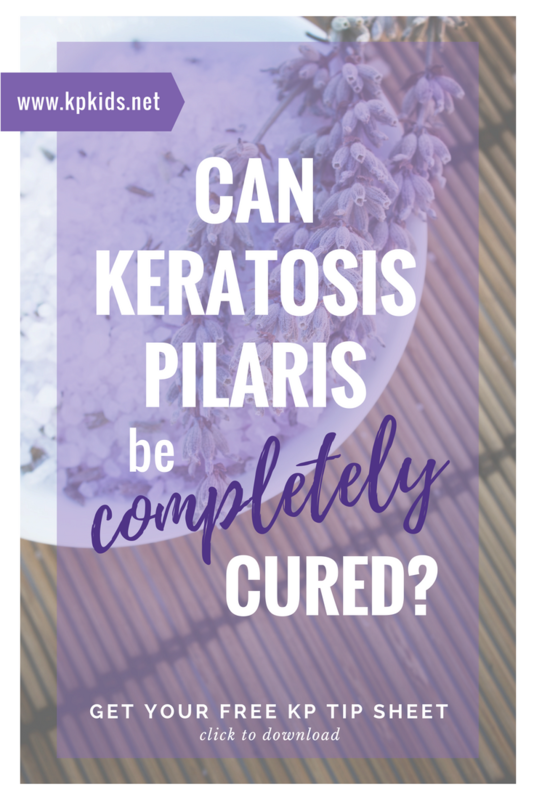 What is Keratosis Pilaris (also known as “KP”)? What is this dermatological condition called Keratosis Pilaris? Keratosis Pilaris is a common skin condition diagnosed in approximately 40% of the population. So if you or your child have KP, you are certainly not alone! 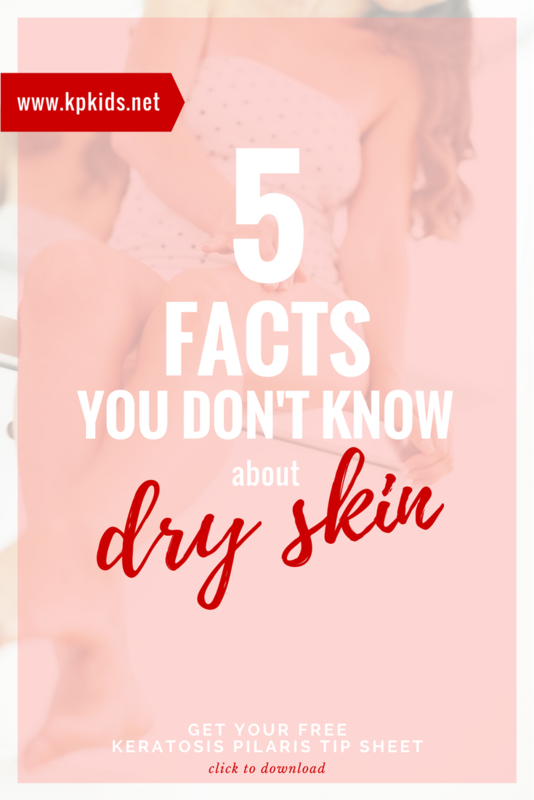 It is characterized by tiny bumps on the skin, usually found on the outer areas of the upper arms, thighs, and cheeks (often referred to as “chicken skin”). The bumps give a sandpaper-like texture to the skin in these areas. It commonly presents itself as flesh-colored to slightly red, rough little bumps. It may occasionally become itchy, but can be managed with proper treatment. To learn more about KP and caring for your child’s skin, be sure to subscribe today! How much do you know about KP? 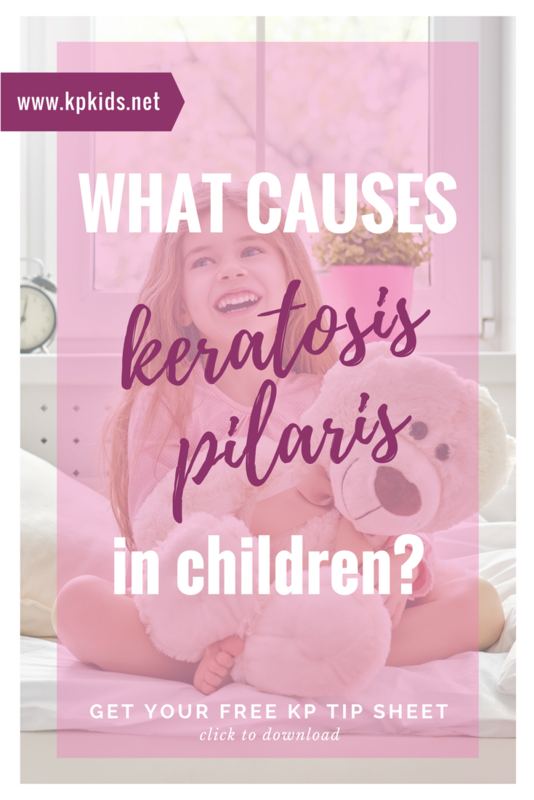 Did you know that Keratosis Pilaris is caused by the excess build-up of dead skin cells around individual hair follicles? It is commonly seen in children and teens, but can begin as early as infancy. KP is a genetic condition and, despite common misconceptions, is not caused by parental neglect and bathing too infrequently. 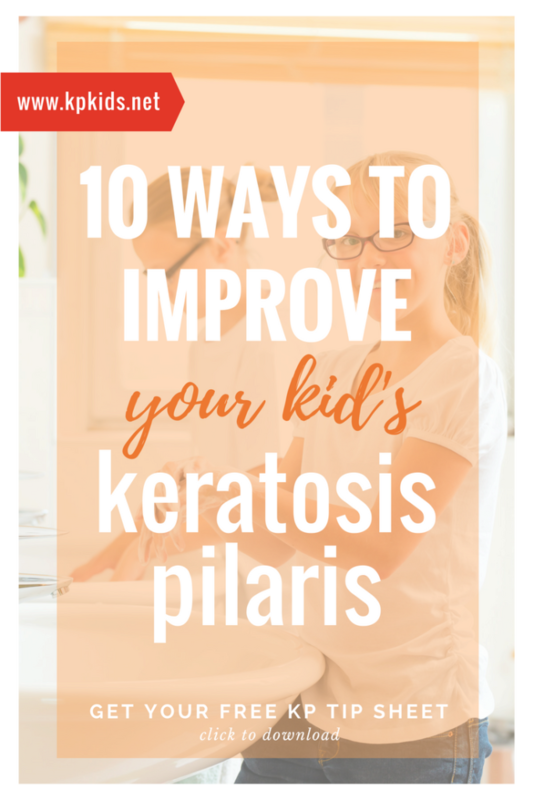 Nowadays, there are more and more products available to parents to treat your child’s keratosis pilaris and improve the look and feel of their skin. 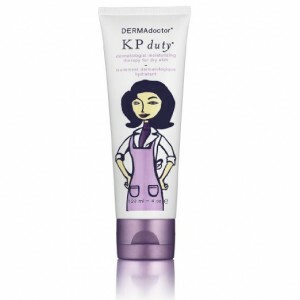 DERMAdoctor is an extremely reputable company that has created a very effective line of products for treating keratosis pilaris, like KP Duty. To learn more about DERMAdoctor‘s ever-growing line of skin products, view their list of products here.